﻿ Pariat Hotel Danang, Da Nang | FROM $25 - SAVE ON AGODA! 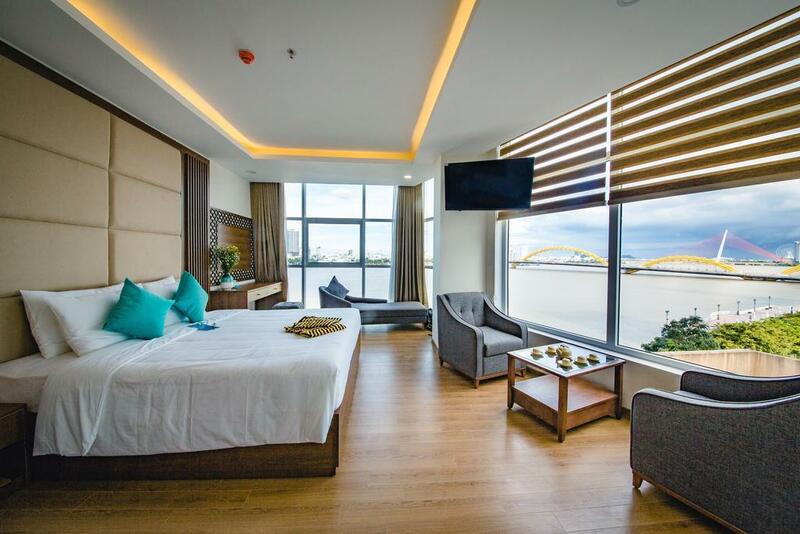 "Very convenient location and nice view of the river from the..."
Have a question for Pariat Hotel Danang? "The breakfast was good enough for us"
"Near main market, shopping mall, facing dragon bridge, good food and clean place to stay"
"Very friendly and helpful lobby staff who were responded to all of our queries." 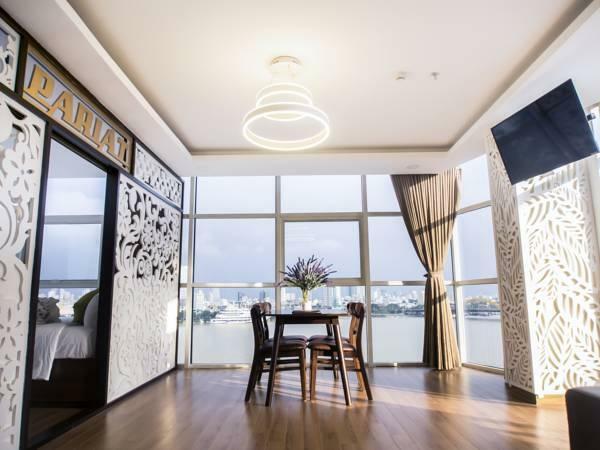 "Clean, good staff(good spoken english ), super nice view"
Built in 2017, Pariat Hotel Danang is a distinct addition to Da Nang and a smart choice for travelers. Only 3km away, this 3-star property can be easily accessed from the airport. With its convenient location, the property offers easy access to the city's must-see destinations. 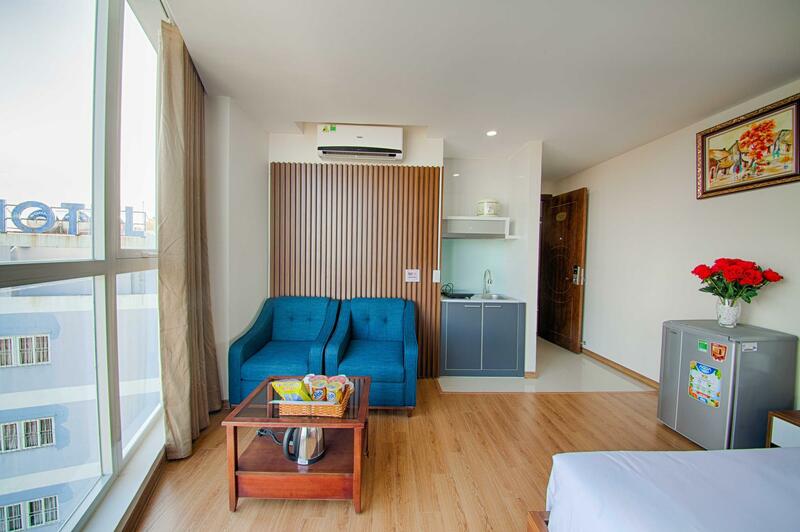 Offering guests superior services and a broad range of amenities, Pariat Hotel Danang is committed to ensuring that your stay is as comfortable as possible. 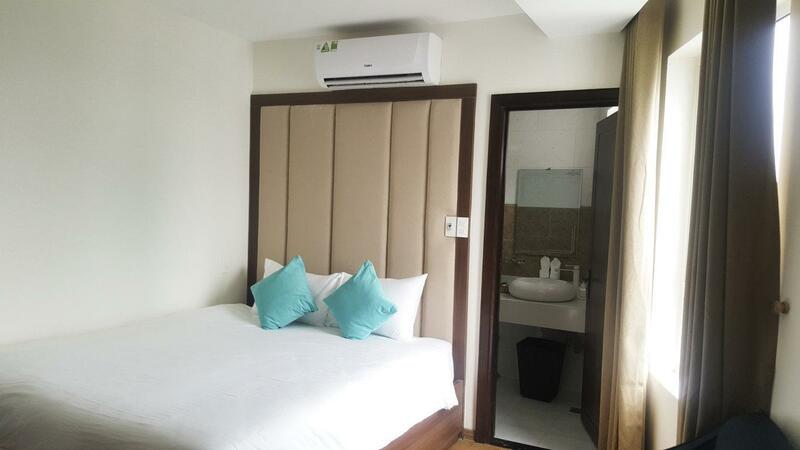 Top features of the property include free Wi-Fi in all rooms, 24-hour room service, 24-hour security, daily housekeeping, gift/souvenir shop. All guest accommodations feature thoughtful amenities to ensure an unparalleled sense of comfort. Throughout the day, you can enjoy the relaxing atmosphere of the outdoor pool. 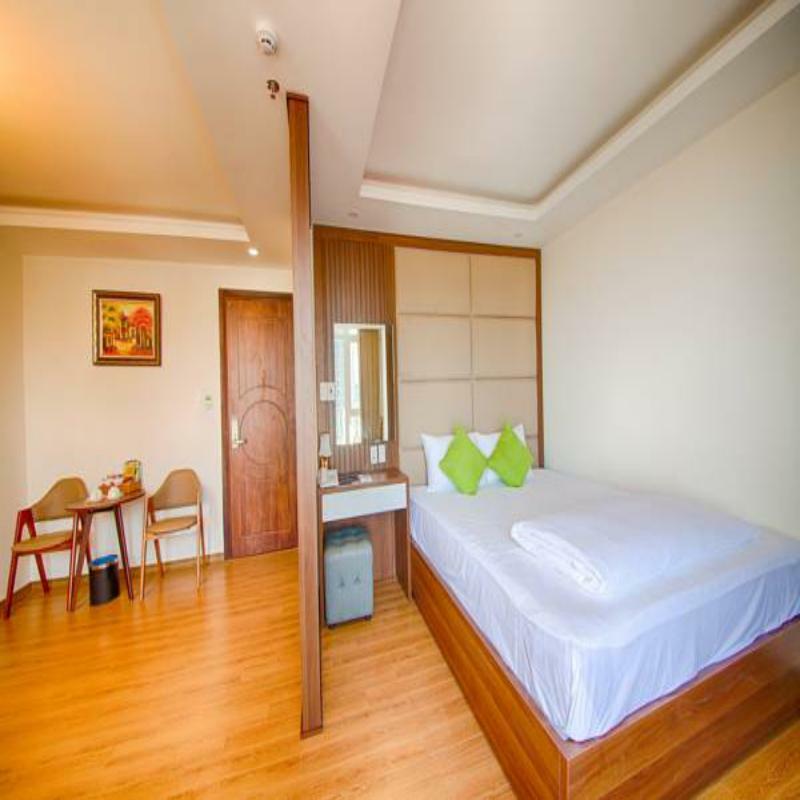 With an ideal location and facilities to match, Pariat Hotel Danang hits the spot in many ways. While the staff and location were great, the rooms left a lot to be desired. They were clean but you can hear the occupants of the next room as the walls were paper thin. Great location to good restaurants and local sights. The staffs are very nice and friendly, the lobby is beautiful and comfortable. We did like the walking shower. It’s strong and easy to adjust hot and cold. The price is reasonable as well. 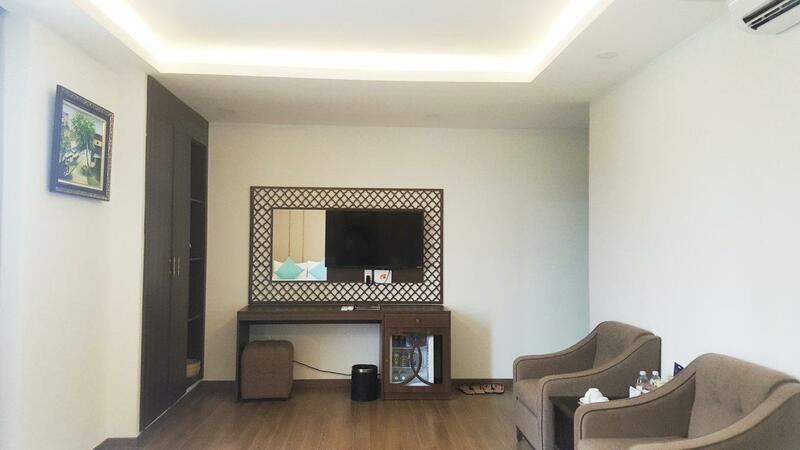 Excellent location next to dragon bridge and Han market. The room is quite spacious. However, the bath room is bit slippery and the room is quite hot even with air condition on. Good location, good view with wide window, but breakfast is not good so I couldn’t eat enough, In bathroom, no shower cutain : get wet all over the floor. All towels are grey color. Found ants on a bed, wall, Be careful not to leave some food even beverages, it makes ants come out. 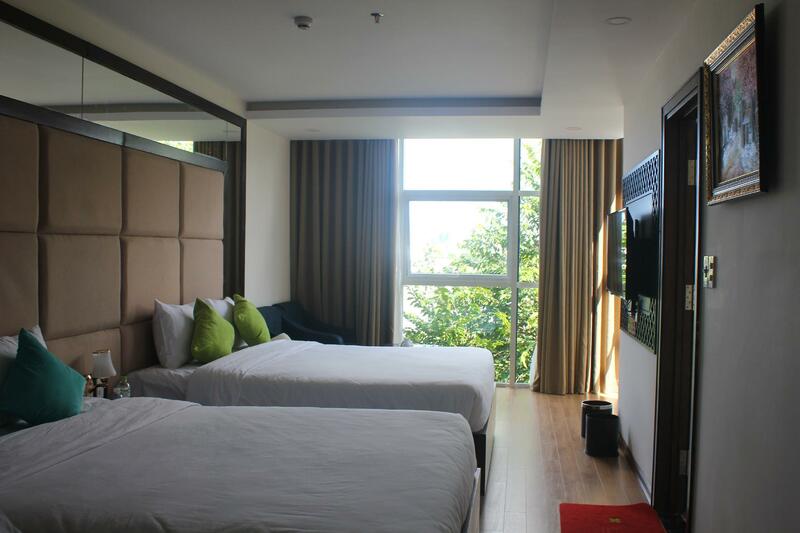 This hotel’s pro: lake view with panorama windows & near to Han Market. That’s two. If you want cheaper price for lake view only,,, get it. Very convenient location and nice view of the river from the king bedroom. The air con was quite weak so the room was often too warm for us and the hot water did not last long. However the staff were helpful and the rooms were kept clean. Dear Heide, Warmest greetings from Pariat Danang Hotel. Thank you for your recent stay at Pariat Danang Hotel and providing us with your valuable feedback. 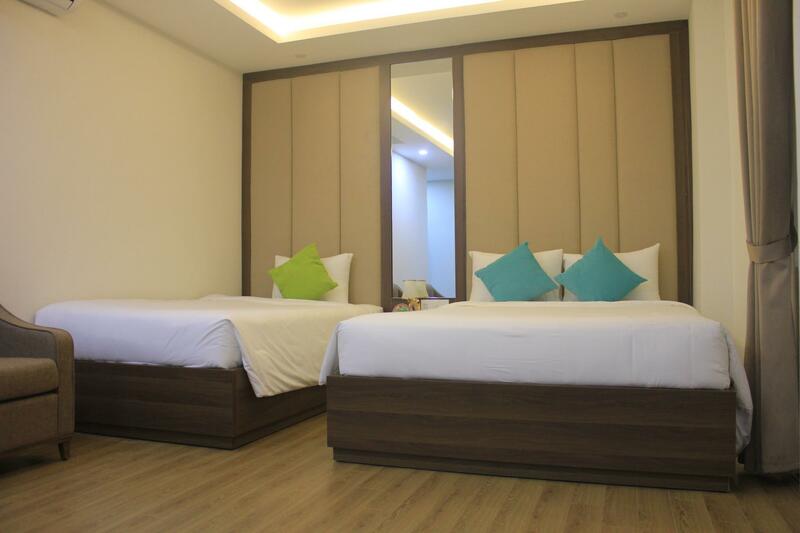 We are happy to know that you had an enjoyable stay with us, in particular appreciate your room with amazing view, helpful team members, and enjoyed the convenience of hotel location. Your comments on the service provided by our staff are most gratifying and will be shared with the whole team. It was certainly a pleasure for us to be at your service and we all look forward to welcoming you again soon to Pariat Danang Hotel. Best regards, Pariat Hotel Management. If you're not a one for harcore gogo bars, then this hotel is just the place to settle down before an appointment the next day. Clean, good staff(good spoken english ), super nice view....bring along your cameras! It's worthwhile paying a liitle extra for a river / lake view room, the night view of the bridge is spectacular. A nice selection was offered on the breakfast buffet, something for everyone. If you don't want to stay on the beach this is a great alternative in a busy area with lots of bars & restaurants. Hotel location is beside Hun river on the tail side of dragon bridge, near Hun market and church. Beside the hotel have a good local dessert, it was a coconut jelly and so delicious! Facility and clean was good. Hot water come on and off. Breakfast have not much but ok. Staff friendly. The location was just good(riverside and close to the Han market). But I was very surprised there's no window in the room. Towels are not clean. First impression about this hotel is that it's very noisy. I Just stayed for a few hour with my kids because of the late night flight time. 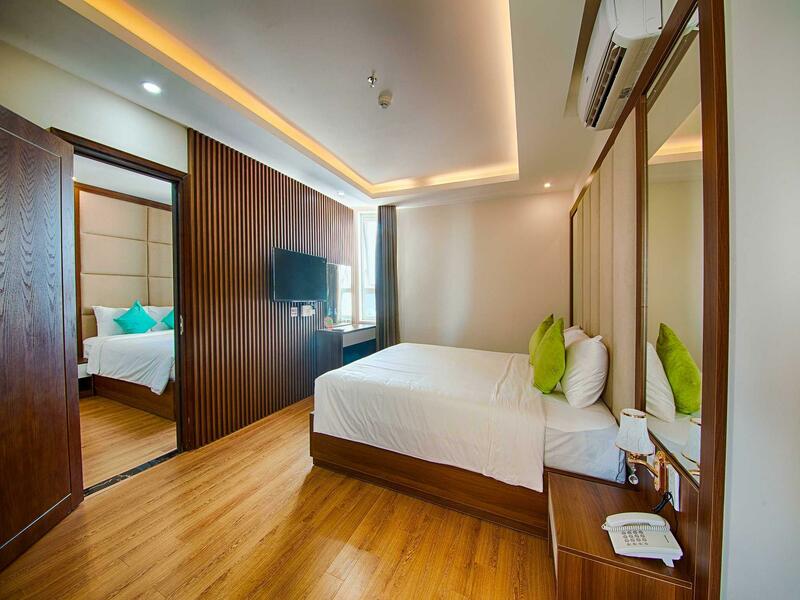 The hotel policy of Agoda app noticed that under 6 yrs old children are ok when I use the existing bed, so I booked a twin room. But the reception said it was not ok at first, so I had to show and tell the hotel policy to them. Not good memory to me. I arrived at hotel 1 AM. But staff was waiting us for checkin. Of course, I informed our checkin schedule. He is really kind and good english speaking. Next morning, Another staff is kind, too. Then, Room and bed is clean and soft except for the air condiioner noise. It is like as a buzz...but peformance is good. 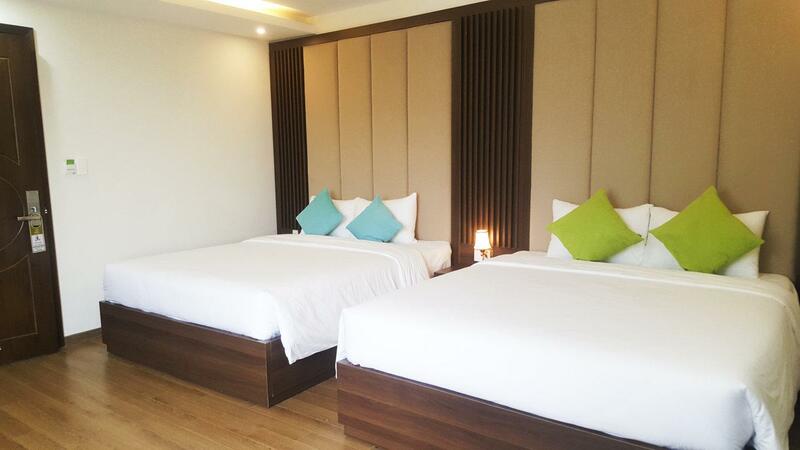 I booked twin bed and triple bed room, then, 2 type room is really same. 1 double and 1 single. Different price. I will book 2 twin bed rooms in next time. Kind staff. good bed. cleaning room. valuable breakfast. Be recommended by others. Booked this solely to view dragon bridge during the weekend when it bepreaths fire. Not disappointed with the view at all. Small pool,and bar on the roof was an added bonus. Owned by NZers but staff are local. This can lead to some requests being lost in translation but overall a good experience staying here. unfortunately, building works right next to them made it rather noisy during the day time. The breakfast at the hotel was small but pretty good. helpful staff, good restaurant for meal nearby. there is worth a return visit. staff is kind. easy access to downtown. but the only trouble is no tissues in the room.